The Boost Leash is a 5 stage time based plus launch stage Race/Street style boost controller. This unit is very accurate and consistant. Now since it's a gate pressure controller you have to understand that the numbers you set in the controller ARE NOT boost. It's gate pressure. Let me explain what it does. So you have wastegates to control boost and it's normally set by a spring in the wastegate that gives you X amount of boost. Well what this controller does is gives you a imaginary varible spring . You start out by putting at least a 3-5psi spring if you're running co2 or compressed air. If you're running manifold pressure you will need to run a spring thats half what your max boost will be. And the way this controller works is that you set gate pressure curves and these curve are pressure thats applied to the same area in the wastegate as the springs are in. Your programmed gate pressure curve does the same thing as the springs do only you can vary it with the pressure curves. So you have a imaginary spring that you can tell what to do. Now keep in mind that you will have to experiment to find what gate pressures give what boost psi results. Example...15psi on the controller might give you 10psi boost. You just have to figure that out so start with low gate psi settings at first till you get an idea of what boosts you can expect. This is the style boost controller used by the fastest heads up racing in the country. 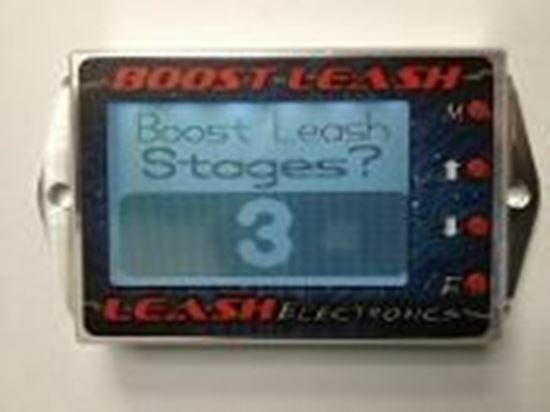 The Boost Leash has a launch stage that you program the desired launch psi. It has 5 time based stages that start after the launch input is activated and released. The 5 stages has time delay, rate of pressure increase, and psi for each stage. There is also a datalog screen that datalogs the time, boost and Gate psi curve so you can see what the pressure curve looks like which aids in tuning. This is a very simple unit. The Boost Leash will work with most turbo and supercharger systems. 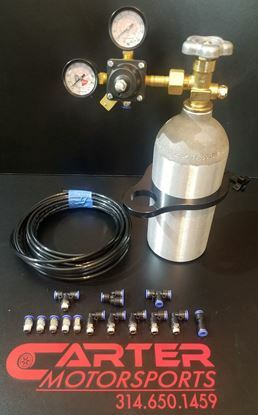 If you choose to run CO2 you need is a CO2 bottle, adjustable regulator, fittings and hoses. Come with 5 year warranty and personal customer support and aid in tuning. FREE SHIPPING ANYWERE IN THE USA! As of October 2018 all Boost Leash come with billet map sensor!